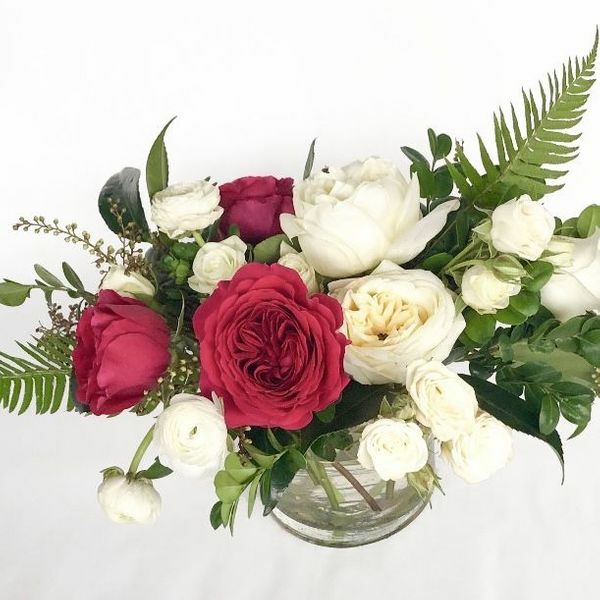 Home > SEASONAL ARRANGEMENTS > Lovejoy St.
A striking cream and berry combo designed with three types of roses: garden, standard, and spray, along with mixed greenery and seasonal accents. Approx. 10"x 9" please note: some flowers and colors may vary due to availability. Copyright © 2017 Sammy's Flowers a Portland Florist All Rights Reserved.